What Is Alpha GPC 50% Powder? Alpha-GPC is a naturally occurring compound that is actually found in our brain and also in some food sources, including eggs, dairy, meat, and fish. Alpha-GPC, also known as alpha-glycerylphosphorylcholine and choline alfoscerate, can be produced synthetically or derived from natural sources, and comes in powder form but can be added to capsules as well. Alpha-GPC is a choline-containing nootropic compound with much anecdotal evidence suggesting it may help with both athletic and cognitive performance, and one study shows Alpha-GPC powder to benefit brain health. Nootropics Depot offers both Alpha-GPC 99% powder and Alpha-GPC 50% powder. Our Alpha-GPC 50% Powder is available in 30 or 60 grams. Improved athletic and cognitive performance - Some scientific research on rodents and anecdotal evidence suggest that Alpha-GPC may support cognition in healthy adults. Brain Health - A 1994 clinical trial in Italy of more than 2,000 people showed that Alpha-GPC benefits overall brain health. Varying doses over the course of 6 months resulted in statistically significant improvement in cognition in three of four measurement scales. The typical dosage for Alpha-GPC 50% Powder is 600-1,200mg daily, taken in one or two doses of 600mg. It’s a good idea to start out with a smaller dose and work your way up if necessary. Where to Buy Alpha GPC 50% Powder? Nootropics Depot offers a naturally sourced Alpha-GPC product. Alpha-GPC is GRAS-affirmed by the FDA (Generally Recognized As Safe). Alpha-GPC 50% Powder is a great option for anyone who lives in a humid climate. 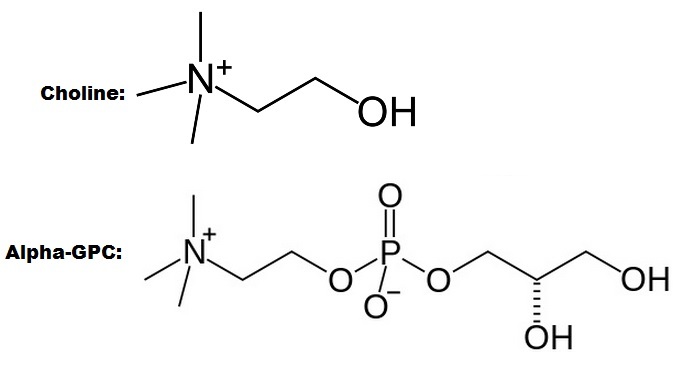 While Nootropics Depot takes care to prevent clumping of the powder, Alpha-GPC is a hydroscopic compound, meaning it absorbs moisture readily from the air and can turn into a gel if not properly stored. Alpha-GPC 99% Powder is more sensitive to hydroscopy, so the 50% powder is a good choice if this is a concern. If your Alpha-GPC 50% Powder does arrive with clumps, simply break them up with your fingers. Storing this nootropic in an airtight container can help as well. Product contains one 30g or 60g jar of Alpha GPC 50% Powder. Get more insight by reading Alpha-GPC reviews below. You may also be interested in Alpha-GPC capsules. This is a high quality choline source. It’s necessary for Max racetam effects. But even when I’m not taking racetams it seems to allow my mind to have. It’s like fuel. Allowing my brain to operate without fog. With clarity and completion. I had tried noopept before but this is my firts combo: Noopept+Aniracetam+Alfa GPC. Aniracetam is more slowly release, but mind is focused and also i notice a slighly lees anxiety. Noopept is more quickly in the effects, and you can experiment clarity in mind and also in the eyes. If you are going to get Alpha GPC, get this one. It's 50%. Why get 50% when you can get 100%? Because it remains very stable when stored and never clumps up or changes. Alpha-GPC is now the most important supplement in my nootropics arsenal. Within seconds of taking I feel alert, wakeful and ready to go. After taking it you feel mentally motivated and ready to do a challenging task like a crossword puzzle, even if before you felt mentally tired or burned out. The ability to calmly focus for hours on end if needed is worth it alone. I take Alpha-GPC every morning. Stacks extremely well with everything else I take. The 50% version is perfect, still plenty strong for me and resists clumping or becoming a sludge from hygroscopy. Perfect quality as always from ND. If you're on the fence, buy it. It works. I stack this with other nootropics. Works perfectly. I'm going to try the 99% powder next time around. I had heard that the combination of these 2 works well together. When I tried both and piracetam separate, I could tell that alpha gpc did the job of keeping headaches away and adding to my concentration. Its not really a supplement to take separate but with something else long term basis. Also keep in mind the % sold. I take around 600mg 50% alpha gpc daily because it is only 300mg of pure alpha. Use it whenever I take a racetam., which is daily. Gives my brain plenty of acetylcholine . Quality product for reasonable price, the effect is subtle. I take 300mg twice daily with food.